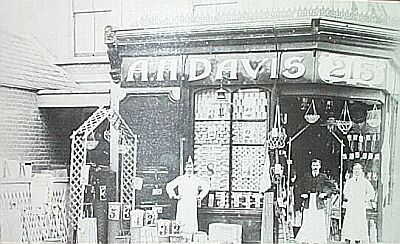 A.H.Davis' shop at 213 Victoria Park Road, Hackney. Part of the interior is reconstructed in the Centre. Rapid Wire propulsion in the reconstructed shop setting (though Davis' shop may have been too small to have had a cash carrier). 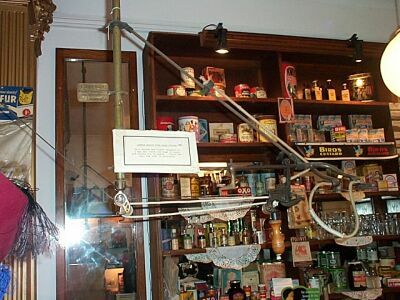 The museum label states: "This system was kindly donated by a man who installed them in shops and stores for 35 years. There are very few left in existence." 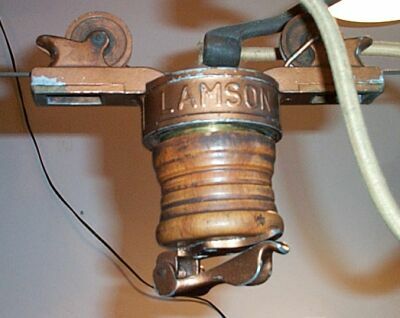 The makers' label is "Lamson Store Service Co Ltd, 132 Cheapside" which dates it between 1924 and 1936. 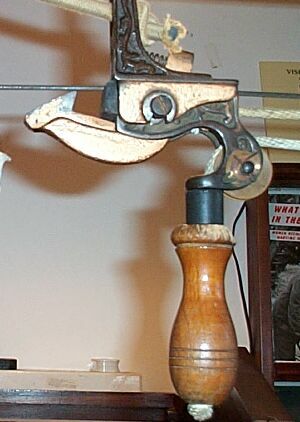 Close-up of the "catapult" showing the catch used to hold the car before release.